While many of my friends took Spanish in high school, I took French. While many of my friends backpacked around South America after college, I got a job at Metro. When my best friend Calvin got a teaching gig in Medellin, I promised I would visit him. And this Thanksgiving, I finally did. 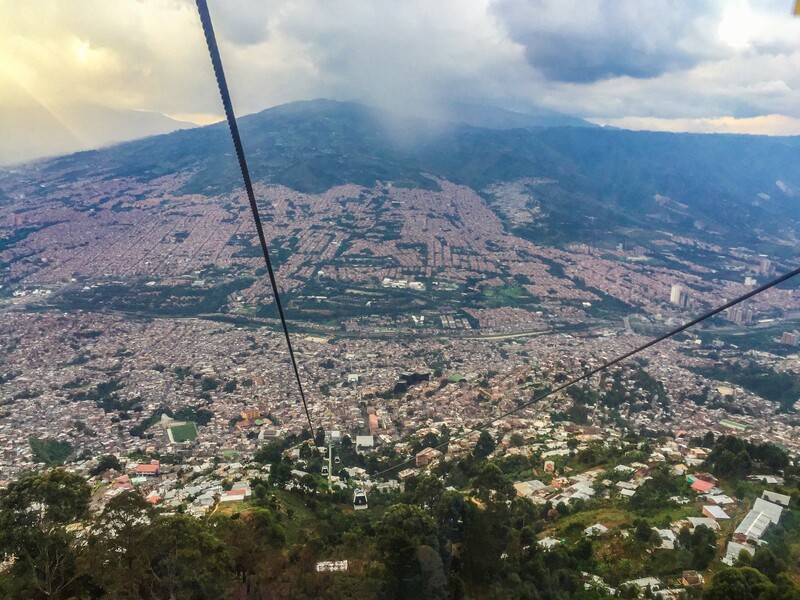 I speak no Spanish, but from the moment I arrived I was immersed in Medellin’s transportation and urban fabric. In previous installments of the Transit Tourist, The Source visited Chicago, Portland, New York City and London. The following are my impressions from my first visit to Colombia. This post is not about Mexico City, but during my 18-hour delay there, I learned that their airport has very cold floors. It was, after all, one of the busiest travel days of the year and there were no hotels available. Lesson: on long trips plan for potentially long delays, or plan to sleep on the cold hard floor. When I touched down in Medellin, I was aware that there was a bus to town through the mountains and down into the valley, but I was not feeling confident to board the right bus, so I splurged on a $30 taxi using directions my friend had written down. The air on my arms as we whizzed through the misty greenery felt like freedom, but we quickly hit horrendous Friday evening traffic dropping into the city. Motorcycles and scooters waddled past us on both sides and engulfed us at stop lights — which some cars actually obeyed. When I reached Calvin and Mackenzie’s place in Envigado, a southern ‘suburb,’ I was in great spirits – the victory of getting there was sweeter for the adversity. Before I get into my personal experiences, let me first just lay out the basics. Medellin has about 2.4 million people — the city of Los Angeles by comparison has about four million — and the Medellin metro area has about 3.5 million people compared to 10 million in L.A. County and 18 million in our overall metro area. 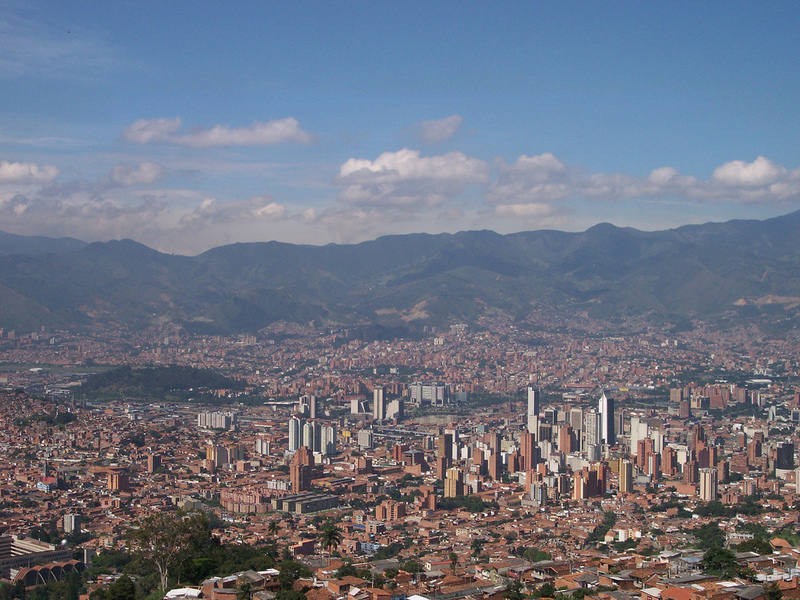 Medellin is surrounded by lush mountains, which separate it from the Pacific Ocean. 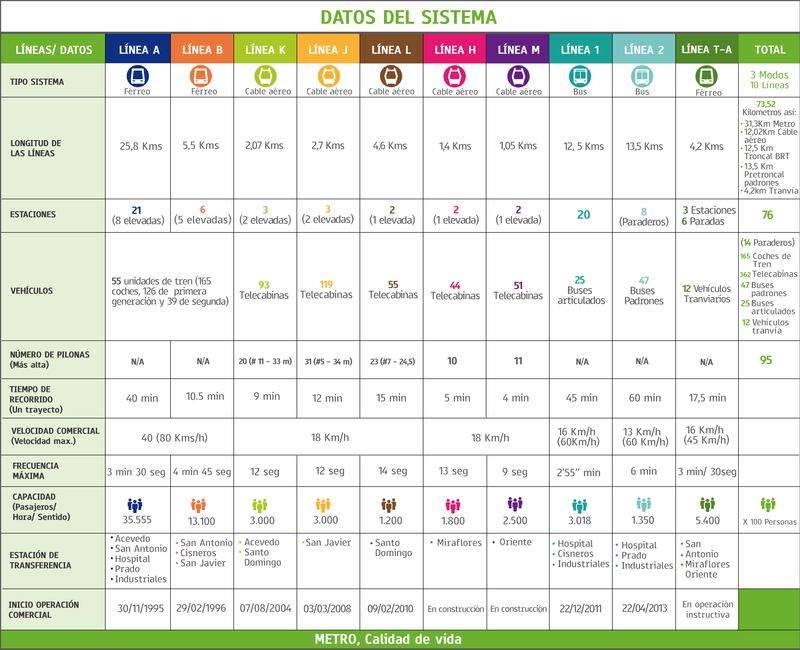 Medellin’s transit system — i.e. 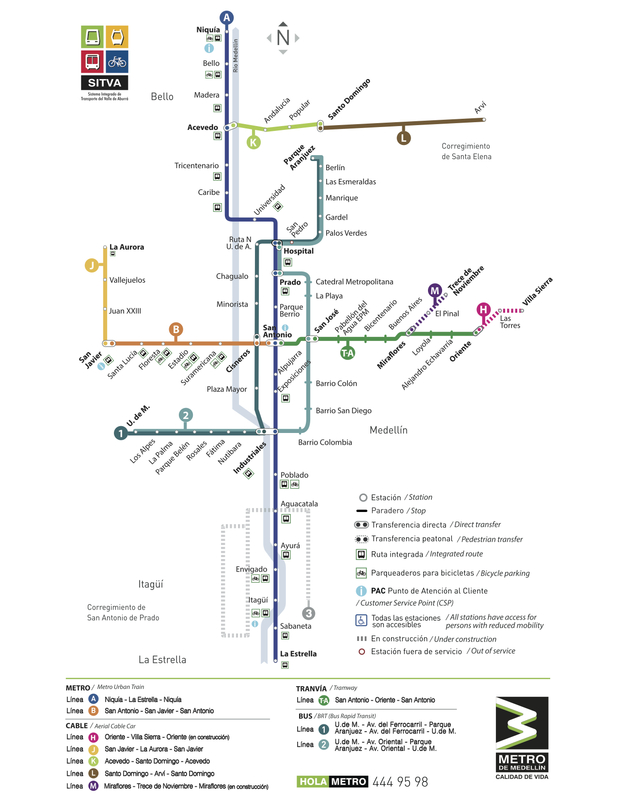 the Metro de Medellin — is anchored by the blue ‘A Line,” which is a logical North-South line that runs up to every five minutes. I never felt like I was waiting for a train, even after seeing one just leave, and the ride along the dedicated right of way was very smooth. The A basically runs along the Medellin River at the valley floor. The orange B line, which juts out to serve the western edge of the city, is the other rail line. I experienced some pretty uncomfortable crowding at rush hour. People were very polite and respectful of each other’s space, but I did almost get chopped in half by the doors. When the train is ready to go, it goes. Two cable cars help distribute people living in the hills (who formerly had less transit access to the city) to the valley where they can efficiently transfer throughout the whole system. A third cable car, L, goes to a gorgeous national park, Arvi. It took me two tries to get there — on the first attempt the cable car was closed for maintenance. Buses and taxis outside a rail station. On the hillsides, there is quite a bit of public infrastructure including plazas, soccer fields, stairways, concrete pads for development and intra-hill buses, but one definitely notices — as one might expect — the infrastructure dwindling the higher you go up the mountains. In addition to rail and cable cars, there are two bus rapid transit lines known as Metro Plus, as well as a massive fleet of green public buses operated by private companies. These buses can be seen all around, especially near the rail lines. Additionally, there is a large network of private buses that go far beyond Medellin’s borders. Besides the buses, the local taxis do a robust business taking people between homes, jobs and transit and there is a taxi hailing app for smartphones that many of the cab drivers subscribe to. I saw lots of road and bridge building. I also heard more than once how proud the people were that they “finish their projects” –perhaps a reference to other parts of North, Central and South America where things don’t always get done. One talked-about mega project proposes to put a highway along the river underground with a new riverside park on top. I saw some bike lanes but few bikes. As someone who bikes every day in L.A., I wouldn’t personally feel safe biking on the streets of Medellin. Traffic was slightly controlled chaos. Seeing two cars share one lane and peds jumping across the narrow streets was routine. I also saw very little car parking. If I lived there, I would be tempted to face my fears and buy a motorcycle. A good view of Medellin and the surrounding metro area. Photo by Jose Duque, via Flickr creative commons. One of the buses I took brought me to the Rock at Guatape, which is a good place to start sharing my personal experiences in Medellin. For the first two days, I joined Calvin and his ex-pat friends from all over the English speaking world at a finca – which in this case was a beautiful (but run down) mansion above the clouds that serves as a rental home. It had a pool and a soccer field, and was nestled into the rolling green mountains to the North of the city. It cost about $15 per person. To get there, we took the Metro A to the end of the line, caught a bus to a northern pueblo and then were taken to the gates by a 4WD wagon — think hay wagon-like — arranged by the finca. Upon returning, Calvin went to work and I went to Alpujarra to meet a walking tour. The tour guide led us through a series of markets and plazas, each with their own art, feel and flavor. Of course, there were a great deal of comments and questions about drugs, cartels and the political factions that have made Colombia and Medellin infamous, but it was how transit was woven into that story that completely surprised me. I learned that Medellin was founded by Jews and Basques who were fleeing the Spanish Inquisition. They wanted to be in a remote place, but upon finding amazing coffee growing conditions and gold, they established a railroad to provide access to the world markets. It was much later that Pablo Escobar brought the drug economy to Medellin — as viewers of Netflix’s “Narcos” know — which also brought devastating crime that made Medellin one of the most dangerous cities in the world. 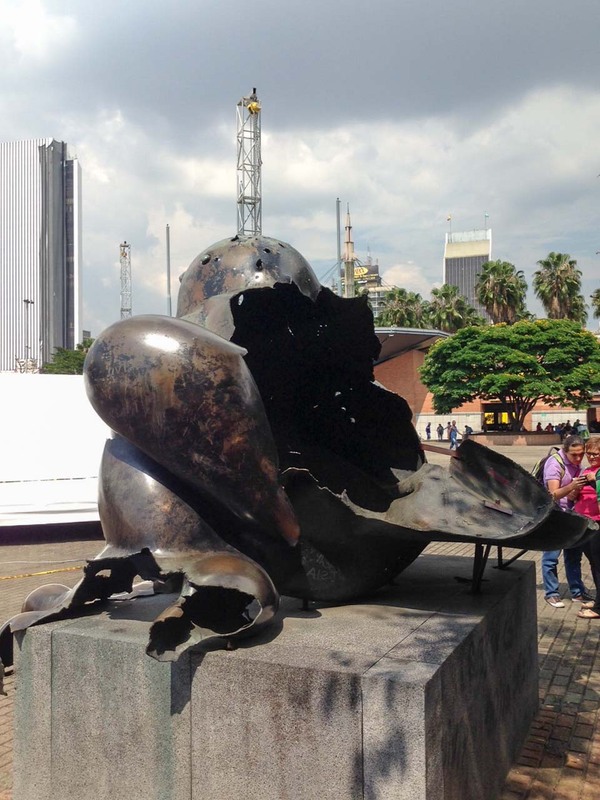 A bomb destroyed this Botero sculpture near a Metro stop in 1995, killing 30 and injuring over 200. This was left in place and Botero donated a new sculpture — representing the new Colombia — next to it. Medellin is not the same place it was in the 1980s, and I believe that it is in large part because of the urban design and transportation choices made and supported by the people. 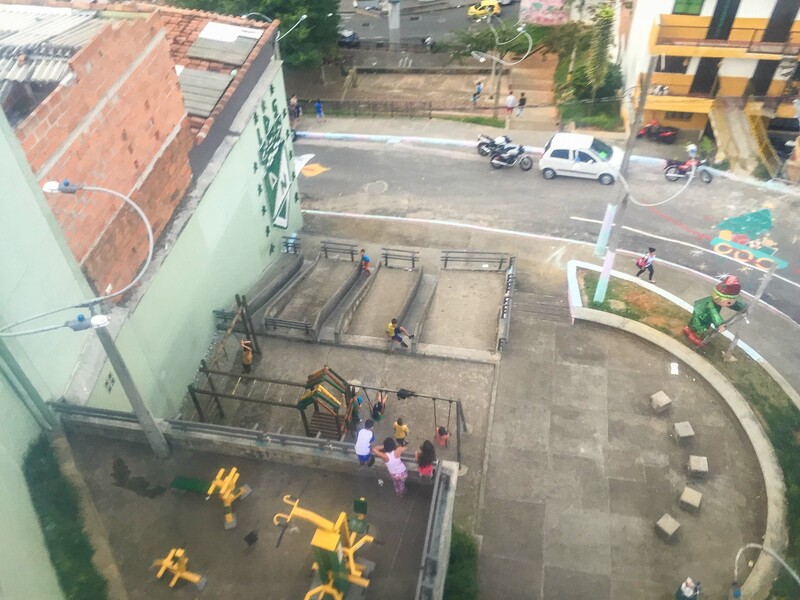 In the wake of crime and public corruption at a level unimaginable to many Americans, the people of the Medellin area managed to get something done. After the tour, I was able to see the city differently: although imperfect, the transportation and land-uses were fluid and logical. Many residents, too, were very proud of their civic assets and how they often blended into and complimented the environment around them. “The city was planned and built pueblo by pueblo. The design is of the pueblo for the pueblo. I get the sense that input and feedback are constant because stuff is widely used, and that constant feedback informs the way things are built. They end up being more spontaneous, organic and imaginative, as though they were the passing thought of a neighborhood kid, said exactly at the right time to gain the momentum needed to be reified. In contrast, I think Los Angeles lacks that kind of feedback — precisely the kind of feedback it needs to improve. 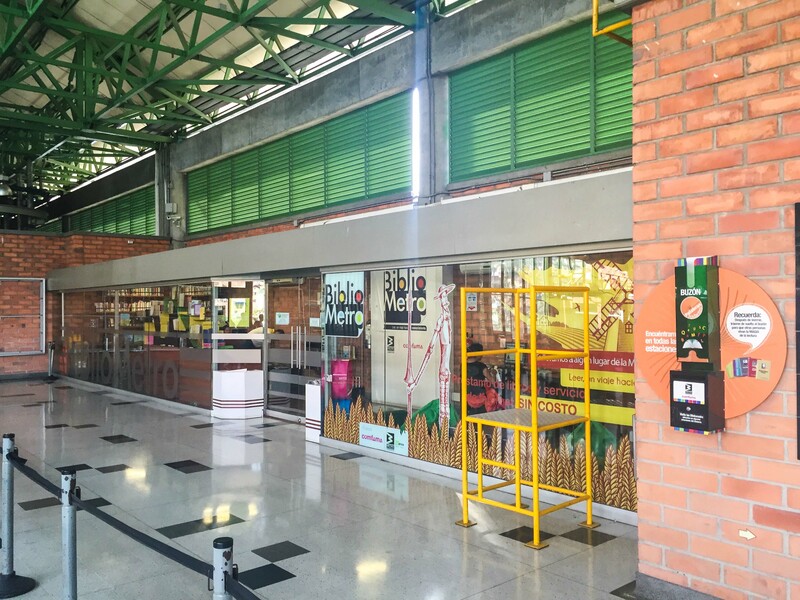 The parks, the trains, the buses, the WiFi kiosks and the shopping malls in Medellin are used by just about everyone. This is often not the case in L.A. County, where everyday public infrastructure sometimes doesn’t feel as valued, shared or sought out. The funny thing is that L.A. and Medellin face the same pervasive societal issues that all major cities face, but crime, litter and vandalism are just not seen on Medellin’s transit system. The Medellin Metro is a safe zone. A similarity between Medellin and the L.A. area is the hunger for innovation. At Metro, Phil Washington set up the Office of Extraordinary Innovation and hired Joshua Schank last fall to search the world for the best ideas in transportation and implement them. This is in addition to other efforts around the L.A. region to grow new markets, leverage information technology and create a stronger technology fabric. -In terms of transit, there are plenty of options and frequent service to most civic spaces, libraries, recreation centers and shopping malls — the high density helps make this possible. The cable cars are very cool and there is even a network of escalators in Comuna 13 to serve a similar purpose of carrying people up and down the densely populated hills. -Affordable and easy fare system featuring paper tickets. A single fare for the train cost me about 60 cents in American money. -Buy in and participation from citizens, who all seem to be system riders or open to riding the system. (Juliana associates the Metro with ‘sophistication’). -There were police at every station, which made us feel safe. Jumping or circumventing a turnstile is a risky proposition as you’ll most likely be caught. 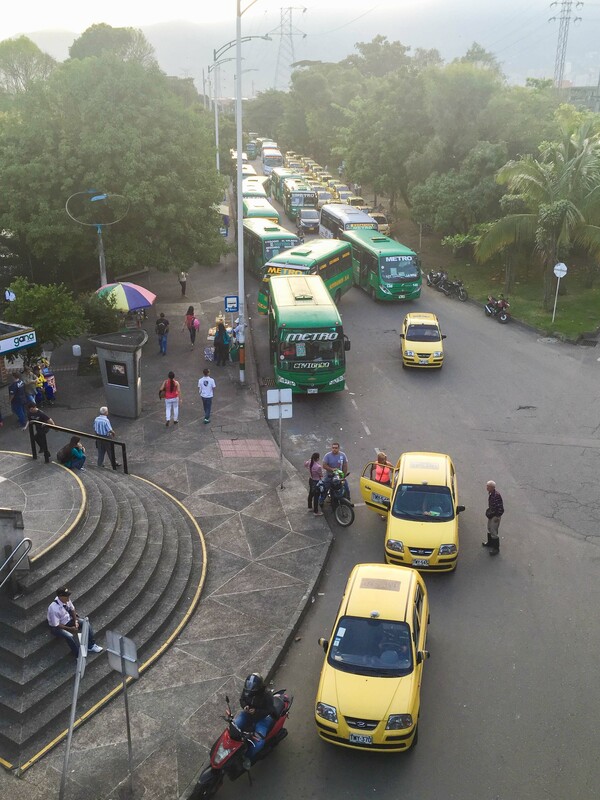 -Traffic in Medellin is tough — and helps push people to transit. Traffic in central Medellin as seen in a 2011 photo. Credit: Andrew, via Flickr creative commons. -Crowding. The system is consistently crowded at peak times, meaning don’t expect a seat or any personal space. -Handicap accessibility is an afterthought. The private buses have high floor buses with no carve outs. The trains and cable cars are most conveniently accessed by stairs. -Vendors sell goods on the train and in the stations, which can be both convenient and an annoyance. The private buses will actually pull over in order for riders to buy stuff from vendors. -Private buses are fluid. Fares and stops are negotiable and inconsistent. For some passengers, the bus doesn’t even come to a full stop before they have to jump off. -Bicyclists looked very vulnerable on streets congested with car and truck traffic. -From my determination, the public bus system was hard to navigate by a Spanish-challenged tourist. Here’s the big takeaway for Los Angeles and other cities. The most striking thing about Medellin is that the city and its residents made a profound choice about what they wanted their city to be and to represent. They didn’t want drug culture, so they cleaned it up and built public infrastructure — transit, parks, libraries, etc. — that would appeal to most people and be used by most people. Bottom line, cities: you can be whatever you want to be. You just have to make the choice. Well written, articulate and very informative. Made me feel like I was there in Medellin navigating the pluses and minuses of their transit as well as some insights on the city itself. I agree with Abe. I look forward to checking out the system. I think Mexico City’s is excellent, by the way. Probably not the most practical idea, but I’d love two short gondolas in LA. One: a 5.5 mile gondola from Sunset/Vermont Red Line station up to Greek Theatre and Griffith Observatory, then along the river to the Zoo, then across to the Glendale Galleria. Two: a shorter gondola from Union Station to Dodger Stadium running up Alameda, flanking LA State Historic Park and then crossing up through Radio Hill gardens with a terminus on the East side of the stadium. Would be nice if the Dodgers paid for it, but they would never given the lucrative parking scene there. If it were me, I wouldn’t pick Medellin, Colombia as a city to gain inspiration from to build better mass transit. Why should we be incorporating ideas from third world drug havens? From South America, my top pick would be Buenos Aires, Argentina. They’ve built the first subway in South America and was also the first in the Hispanophone world in 1913, whereas Madrid didn’t build it until 1919.